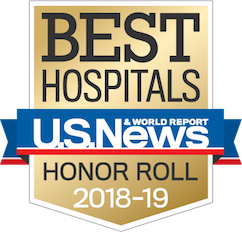 Everyone benefits from a good night’s rest, but sleep is especially important in healing and strengthening children in the pediatric intensive care unit (PICU) at Mattel Children’s Hospital UCLA. Unfortunately, catching some Z’s at a hospital that operates 24/7 isn’t always easy. 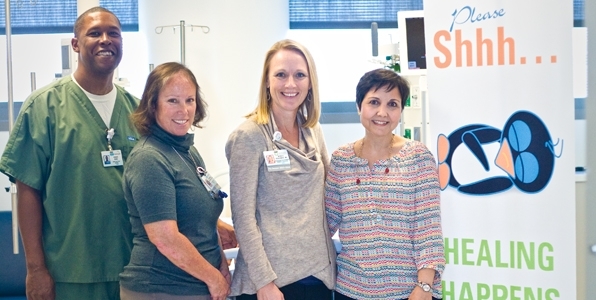 Thanks to a patient-experience award from the UCLA Institute for Innovation in Health, Dr. Federman, along with PICU physician Yonca Bulut, MD, and PICU clinical nurse specialist Theresa Kirkpatrick, CCRN, launched a sleep-hygiene initiative in March 2015 called Supporting Sleep for Health and Healing (SSHH). Creating and displaying signage that designates the unit as a sleep-friendly zone. Implementing a 10 pm lights-out policy. Lubing squeaky wheels on medical carts. Placing silencers on the doors to the PICU so they don’t bang shut. Equipping each patient room with a white-noise machine. Supplying foam earplugs and eye masks to patients and their families. Installing a noise detector that flashes yellow or red when sound levels in the unit exceed set noise limits. Creating signs for parents to hang on their children’s doors that let staff know to come back later because a child is resting, or to enter because a child is awake. Combining nighttime medical procedures when possible. Silencing the ice makers that nurses use to store bloodwork. What works for you? Share your tips on a good night’s rest! For more information about the Institute for Innovation in Health, visit uclainnovates.org.